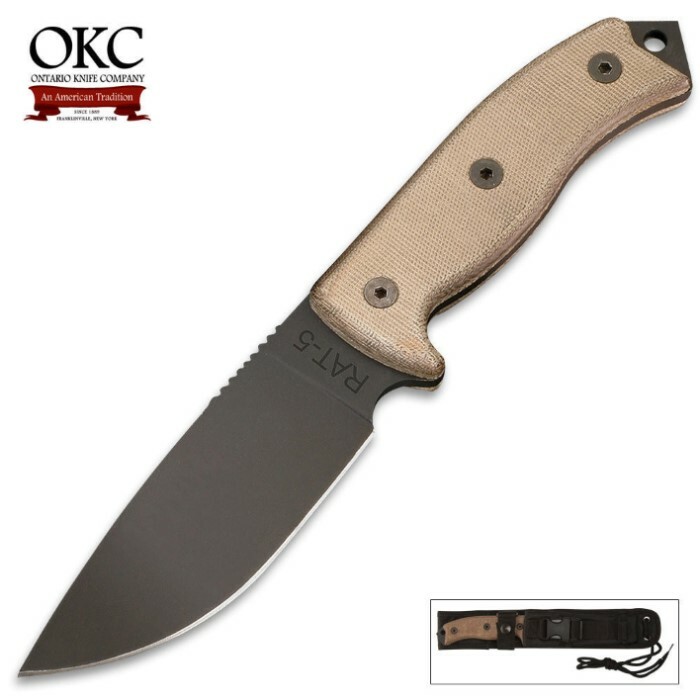 Ontario Knife Company RAT-5 Bushcraft Knife | BUDK.com - Knives & Swords At The Lowest Prices! Randall's Adventure and Training (RAT) is a professional survival training, expedition guiding, and outdoor gear research team based in Alabama. The RAT-5 knife model features a full-tang 1095 carbon steel blade with a non-reflective zinc phosphate finish. This knife is very reliable. It is sturdy and worked great when I field tested it. I took off the paint and got custom grips and now it looks even better. If your looking for a survival knife and don't want to hit triple digits $$$, buy this knife.